Home / Unlabelled / CAN THESE CHAN EAGLES OUTCLASS KESHI'S CLASS OF 2014? CAN THESE CHAN EAGLES OUTCLASS KESHI'S CLASS OF 2014? The home based eagles will leave for morocco this week for the CHAN tournament. 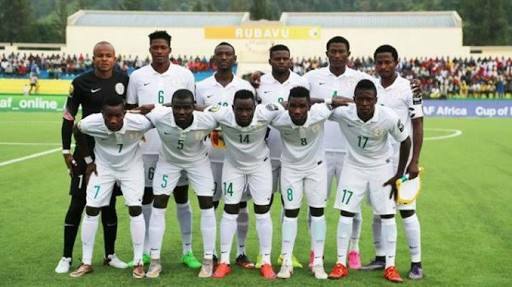 The Salisu Yusuf led team will be departing from Abuja via a Turkish airline flight in their quest to outclass the 2014 CHAN eagles team that brought home the silver medal. The opening game for the eagles will be on the 15th of January against the 2016 host, Rwanda by 8:30 pm Nigerian time. The Ikechukwu Ezenwa led team will also play against Libya and Equatorial Guinea on the 19th and 23rd of January respectively. The Class of 2014 led by Stephen Keshi (of blessed memory) qualified after edging Cote d’Ivoire 4-3 on aggregate, and then finished third in South Africa.